Noah Noasaurus woke up feeling very No. No to brushing his teeth. No to eating breakfast. And definitely No to playing with his little brother. Things only get worse when Noah goes for a walk and relentlessly cheerful Toby Rex, Brian Brontosaurus, and Ava Ceratops follow him. Together, the group starts a bona fide dino parade that even Noah can't resist. 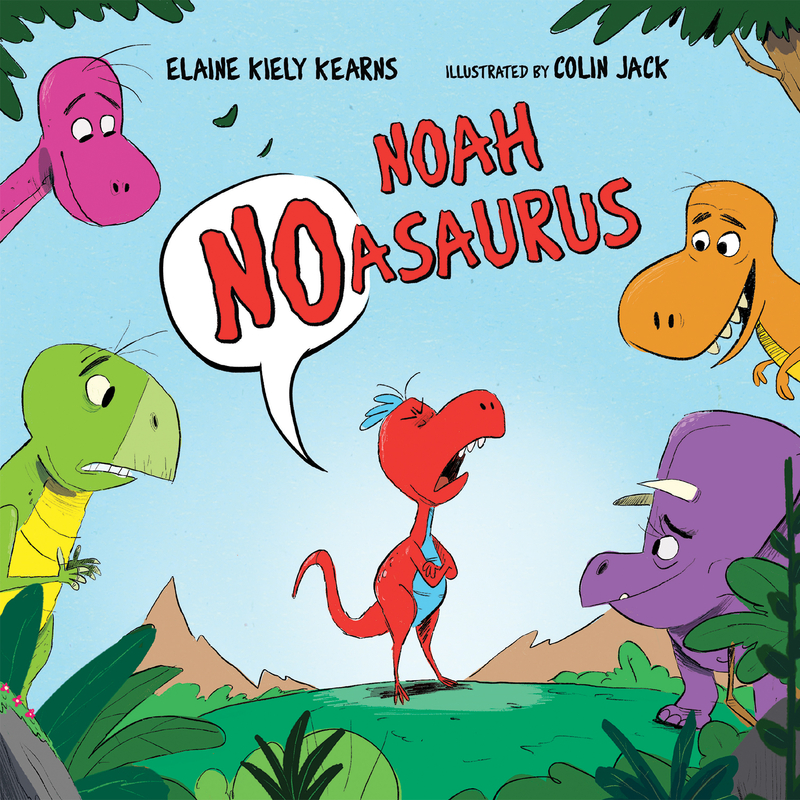 This lighthearted, whimsical story will have readers laughing along at Noah and his friends—as well as at their own bad moods. ?Elaine Kiely Kearns is the co-founder of the children's literature website KidLit411. She has a master's degree in education from Fordham University and taught elementary school for 15 years.Colin Jack is a story artist at Dreamworks Animation and a children's book illustrator working in the Bay Area.